I'm not sure what it means but I had a very hard time finding funny quotes about people from Norway, thus no quote about Norway. Seems like they like frozen pizza, a lot. Gas prices are very high there, despite being a country that has oodles of oil. Getting a driver's license there costs LOTS of money. If a person loses their license for drunk driving (one year...automatically), they have to pay something like 5-7 thousand dollars to get a new one. Food prices are so high that they cross the border to Sweden to buy food that costs less. You'd think that with all of these oddities, there'd be some humor, but not the case. So, Jan, sorry about that. Jan's bike...loaded for the trip north. 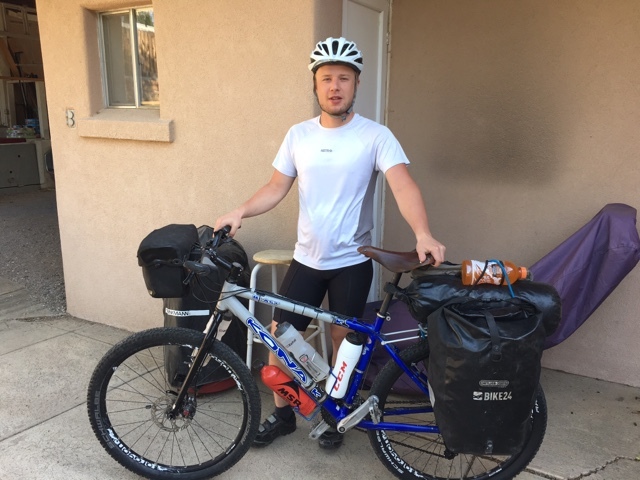 Ville with his bike, also headed north on the Great Divide Mountain Bike Route. Ville and Jan were our first Warmshower's guests from that part of the world. Both spent one night with us. In terms of gear, Ville had the least amount by far. Jan, no pun intended, was loaded for bear. 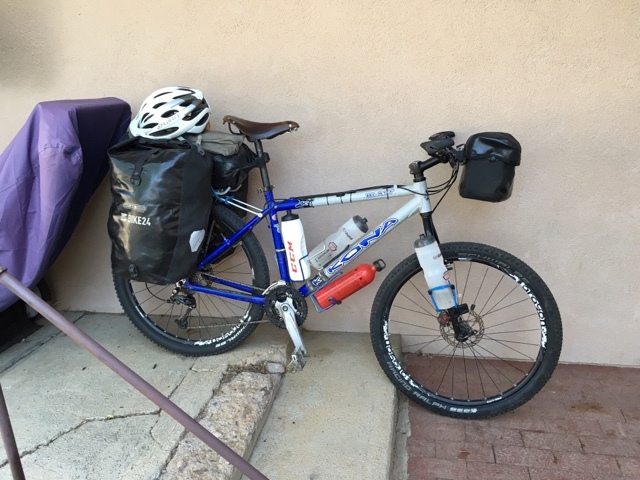 I had not seen or met up with a Great Divide rider who used panniers. Usually, the bikes are set up like Ville's or they have used a Bob trailer. These two were great guests, quite social, good sense of humor, and made fun of where they were from. 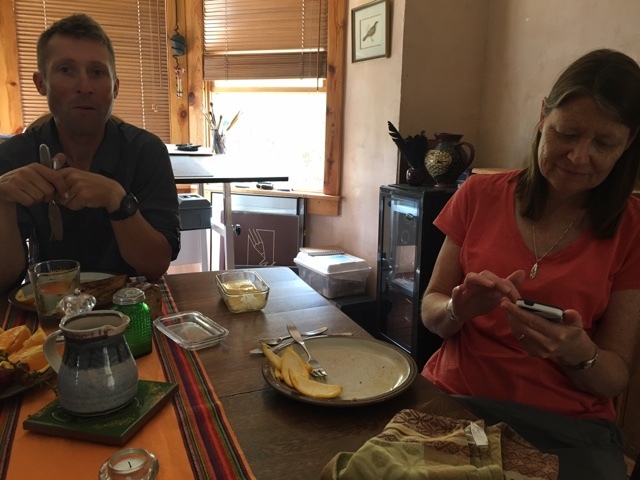 Eileen and I enjoyed having them spend time with us. 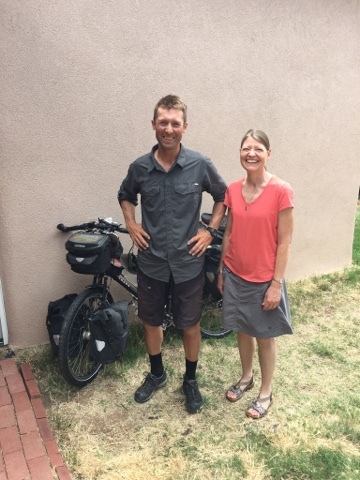 We both look forward to the time when we can bicycle around Europe and meet up with some of the incredibly friendly and very social cyclists who have stayed with us over the past years. 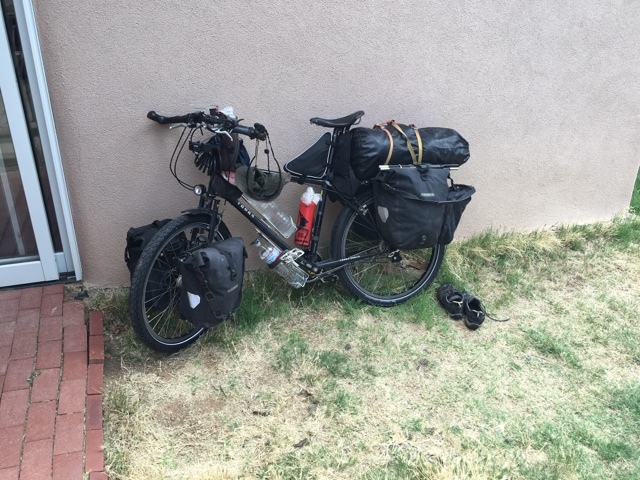 Ville is riding a shorter trip, but is doing the entire Great Divide route, while Jan has been touring for almost 3 years now, with probably another 2-3 years to go. Jan is a teacher in Norway, while Ville is a student in Finland. He lives in Helsinki. 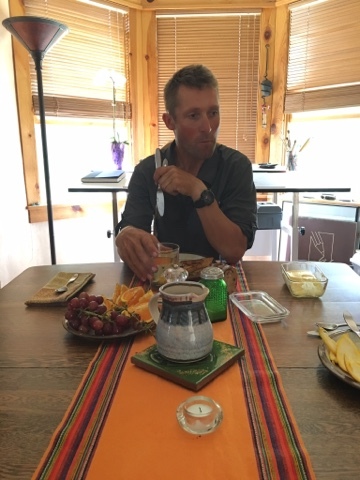 Ville was a bit anxious about bears, so I gave him a can of bear spray, which he later told me punctured and ended up spraying himself with the bear spray. That must not have been fun since I've used it on dogs and have accidentally gotten hit with some of the spray. Very strong stuff and it works extremely well to keep dogs away. Ville will look for some more spray to buy on his route north. When Jan gets to Banff, Canada, he will continue north to Alaska, then return to the Seattle area where he has relatives who he'll visit for a spell. Since it's been a while since I've posted on my website, the weather has warmed considerably since Ville and Jan were here. 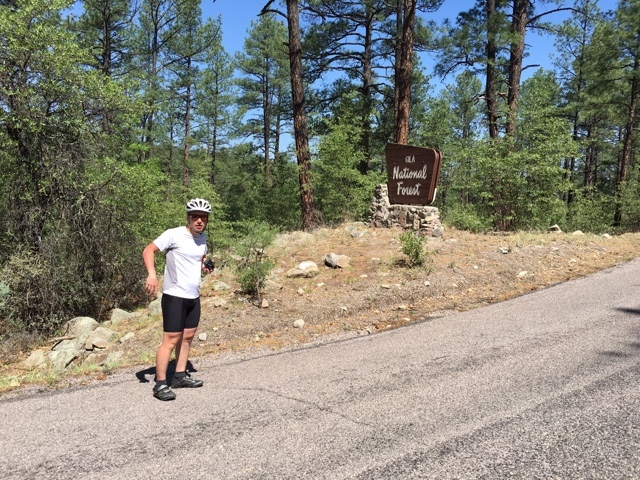 So, until at least September, there most likely will be no touring cyclists doing the Southern Tier route or the Great Divide route. So, until then, we'll enjoy our summer weather, hope for no or minimal forest fires, and enjoy a few beers. To exit this post, a tune for the guys from the cold part of the world...Gary P. Nunn and Jerry Jeff Walker doing Gary's song, "London Homesick Blues"...https://youtu.be/g4Ppc3jz3GE Hope y'all enjoy the song and that it reminds you of the Southwest where most of the people are all hat and no cowboy. Happy trails!! !